Former champions France third-ranked Belgium in what is expected to be a blockbuster semi-final in St. Petersburg on Tuesday. Ahead of the big clash, the official animal soothsayer, Achilles, has made his prediction. Achilles, the official animal soothsayer of Fifa World Cup 2018, has predicted the outcome of Tuesday's first semi-final between former champions France and Belgium to be held in St Petersburg. 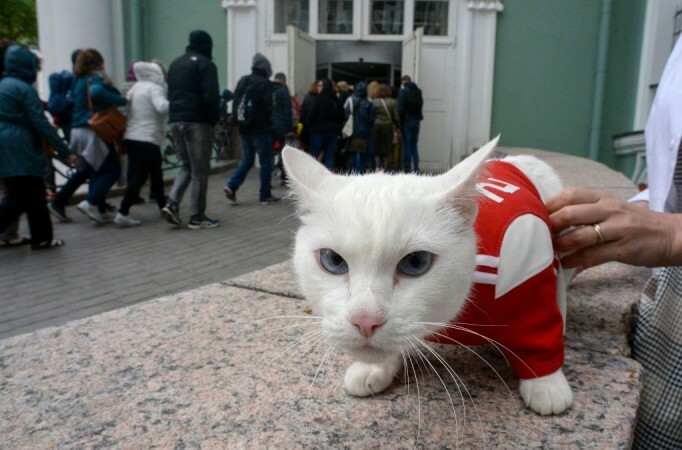 The furry white feline, one of the mice hunters at Hermitage Museum in St. Petersburg, backed the Red Devils to progress to their first-ever World Cup final in Russia. The third-ranked European side will be under quite a lot of pressure in their only second semi-final, in contrast to the Les Blues who are will be featuring for the sixth time on Tuesday. Standard procedure was followed wherein two bowls filled with cat food marked by Belgian and French flags were kept in front of Achilles. The blue-eyed, deaf cat chose the tri-colour of Belgium, according to Four Four Two. Achilles had been performing duties as an animal oracle since the Confederations Cup in 2017 where he predicted three out of four matches. At the ongoing World Cup, Achilles success rate has been 75 percent as he rightly predicted hosts Russia's win over Saudi Arabia and Egypt. The cat, which had even followed a diet in the lead up to the tournament, foresaw Iran's win over Morocco and Brazil's win over Costa Rica. Achilles got it wrong when it had predicted Switzerland to beat Sweden in the Round of 16 and Nigeria to stun Argentina in the round-robin stage. Animal oracles have been a part of major tournaments for quite some time now. 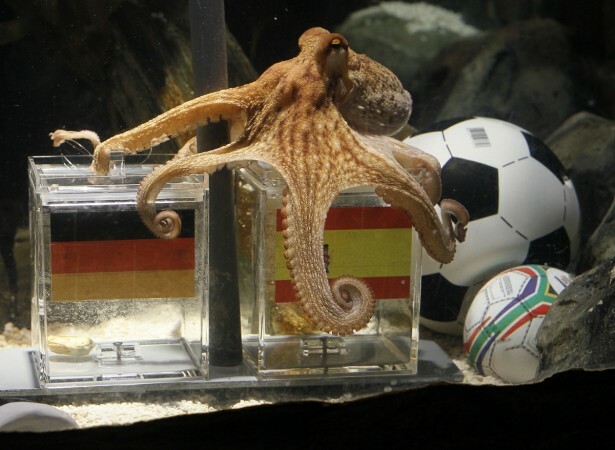 Not many can forget Paul, the octopus which predicted the outcome of Fifa World Cup 2018 matches with 85 percent accuracy. Many animals in the recent editions had tried to emulate eight-tentacled Cephalopod but found little success. While the oracle animals attract a lot of attention and become global icons like Paul, several researchers have opposed roping in animals for making predictions. Lori Marino, neuroscientist and expert in animal behaviour and intelligence, told National Geographic that there was no scientific evidence to prove the psychic abilities of animals. "There's really no substantive scientific evidence that there are supernatural psychic abilities. Let the animals be who they are and let's stop making them into objects or commodities," Marino said. "There may be some people who actually come to like the animals in this way. But I think generally, it's much more negative than positive."